An 18-year-old man has been charged with the death of a teenage boy who was found shot to death on a neighborhood street in Centreville, Virginia, on Valentine's Day. Josaphat Espinoa Cruz was arrested Tuesday and charged with the death of 17-year-old Matthew Ortega. A newspaper delivery man discovered Ortega's body about 5 a.m. Feb. 14 on Jeb Stuart Square. Ortega was an 11th grade student at Centreville High School. 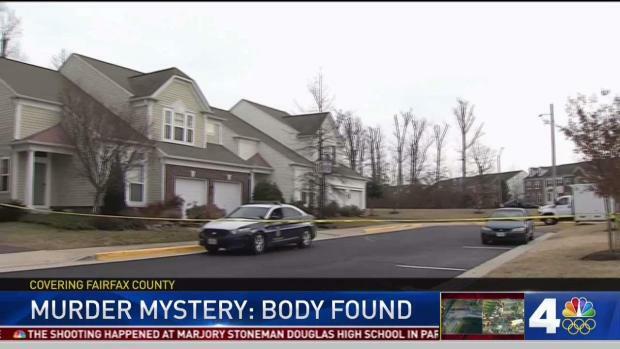 Who is the man found dead early Wednesday on a neighborhood street in Centreville? Why did he die and who killed him? His sweatshirt may provide a clue. News4's Pat Collins reports. "He was a bright and engaging student who will be greatly missed by our school community," Centreville High School Principal Dave Jagels wrote in a message to students and parents last month. Neighbors say the house near where Ortega's body was found had been vacant for some time. Cruz has been charged with murder and use of a firearm in the commission of a felony. Police have not released a motive but say the crime was not a random incident. Cruz is being held without bond at the county's adult detention center.